July really has been a month of firsts! My first French manicure, soon to be my first dots within dots, and my first Ikat nails! I actually really liked how these came out…I was nervous about doing these hence the 7 day wait! But, they were surprising easy! I used 2 coats of Color Club Mrs. Robinson as my base. I sealed the base with Seche Vite and detailed with Sephora by OPI Metro Chic, Wet n Wild Black Creme and Julie G White Orchid. 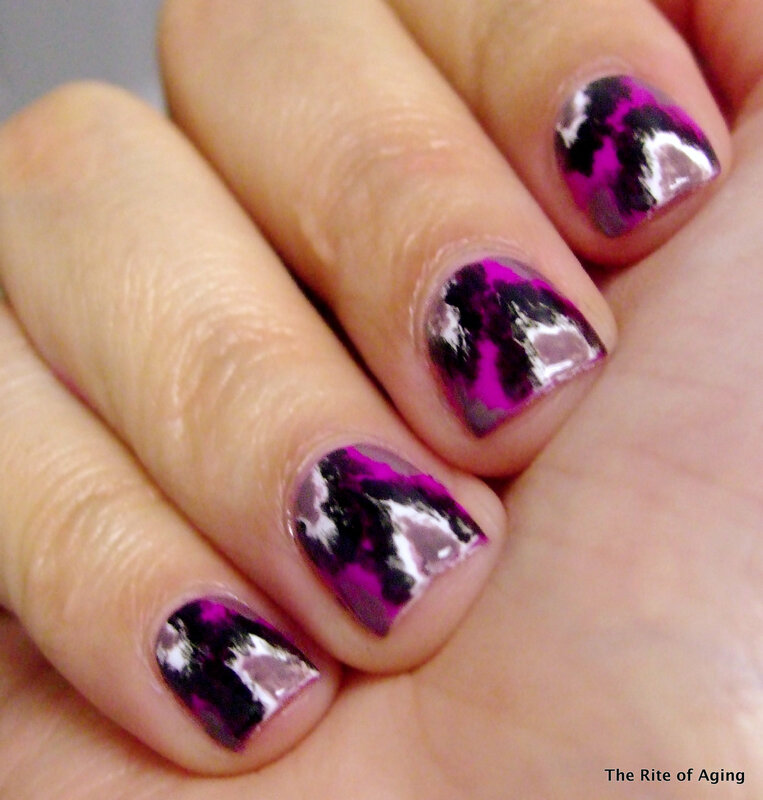 Don’t forget to check out the other Ikat nails!